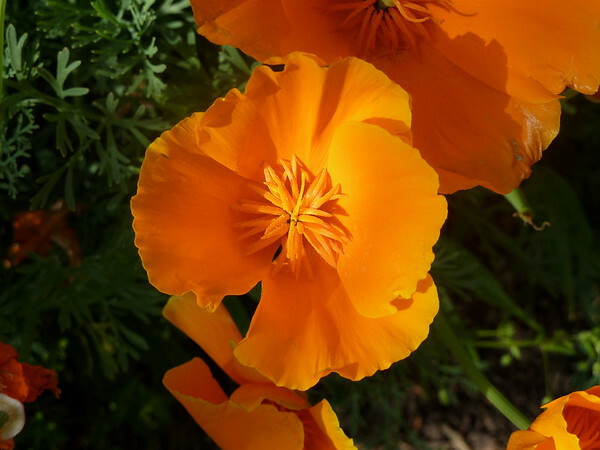 Beautiful blooming of the famous cali poppies today. 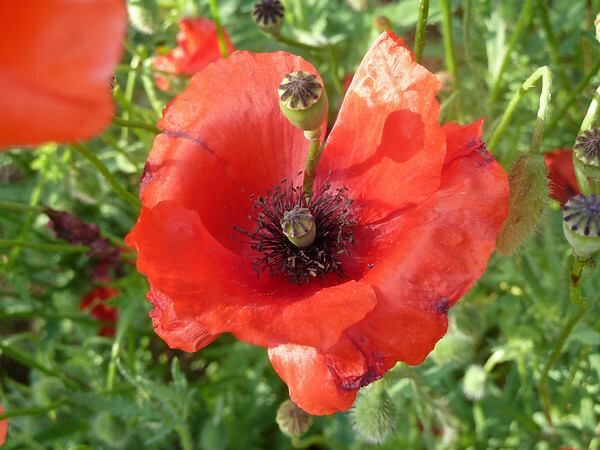 Very nice, I have completely stuck out this year when it comes to poppies, with all the rain I thought I would see something good but no such luck! Nice pictures, both Rod and Rogue! Rod, that was a sea of orange. Quite a sight. Rogue, even though the skies were cloudy, Death Valley with flowers is great to see. Great pics guys! I hiked the Santa Rosa Plateau this morning and there were tons of flowers, including poppies and lupin. Actually saw a pond turtle on my hike also. The poppies just went on forever. Literally miles and miles of poppies.My wife took the pics from the car while I drove.They were everywhere and she had a hard time knowing were to shoot to get a good angle to do it justice.It is a new camera and her first time using it.There are two videos in the mix that show how far the poppy fields go. Steve it literaly was a sea of orange.I should have stopped and gotten out of the car to take a few pics myself. These pics don't really do justice to the amazing beauty. We may head out again next week and get some better pics and a few close up macro shots. Rogue it amazes me that wild flowers just pop out in the middle of the desert. Yeah it makes me wonder what sort of amazing paradise the area probably was 10,000 years ago when the lakes where full. Where were the poppy pictures taken? Right off Hwy 138 which runs East/West between the I5 (North of Castaic but south of Gorman) and Palmdale/Lancaster. It is close to Lake Elisabeth. It is about 30 miles north of where I live in Santa Clarita Valley. I grew up in the Antelope Valley. Thanks for sharing these wonderful pictures. I sure do miss being out there. As a personal aside, though, it also really irritates me when I see crowds of people just walking right through the middle of the poppies and trampling them down. 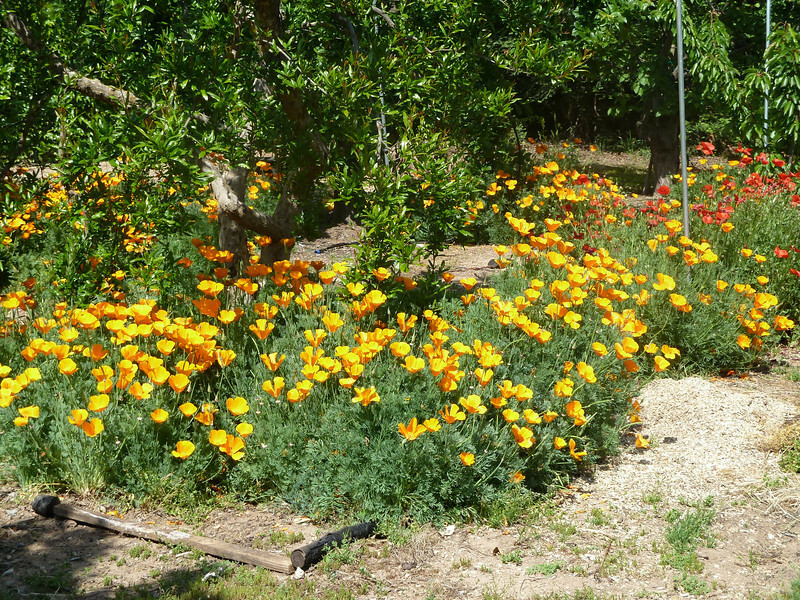 Anyway, judging by Rod's pics, it looks like the area had a real banner year for poppies this year. Probably all that El Nino rainfall that happened during winter. it also really irritates me when I see crowds of people just walking right through the middle of the poppies and trampling them down. Makes me more angry when I was out at Wind Wolves Preserve and a herd of sheep were out in the middle of a massive poppy field eating every single one of them. My wife and I were shocked to see people walking right through the poppies. SHOCKED and wondered if I should say something.I didn't have enough ammo to take on everyone though. Yes CaT it is AV poppie reserve on Lancaster Blvd. I recognized it immediately, because I've been there many times, most recently, in 2008, and grew up in that area. Had to buy a new camera, since the Cannon A720 died. So now I have a Panasonic DMC-ZS5. It has a 12x optical zoom. Like it! Nice!!! I am going to take some pictures of my yard tomorrow since the Coxboy Poetry festival is at Melody Ranch this weekend it reminded me I promised Bee some pictures of our old 1927 built Gene Autry house and yard. Generated in 0.066 seconds in which 0.024 seconds were spent on a total of 14 queries. Zlib compression disabled.